Request your Free Visitors Guide below. The guide is full of information on things to do, events, dining and more. Complete and submit the form and we will send your Free Guide in the postal mail. 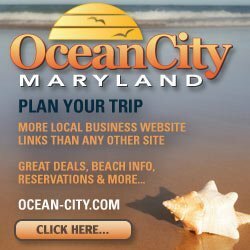 How You Heard About Ocean City? Thank You. Your Free Guide request has been sent. We will send Ocean City's "Sea For Yourself" Guide in the postal mail. You should receive it within 7-10 days.